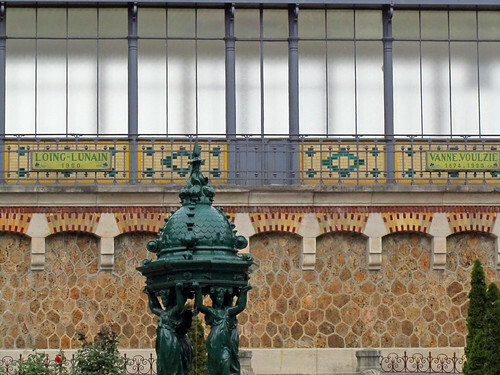 From the exterior, this glass building could pass for an old, disused metro station from the era of Art Nouveau. It’s pretty yet subtle, with names inscribed on the wall referring to rivers near Paris. This hints on the purpose of the site itself, formerly a stone mine but today a water reservoir that would serve the left bank and areas south of Paris. Water channelled in from the aquaducts of Loing, Lunain, Vanne and Voulzie are stored away from plain sight, under grass-covered hills of which the glass building sits atop. The interior resembles a massive cathedrale which has been inundated with clear water (Google and you will see), and how I would love to see that for myself. However, as you can imagine, for health and safety reasons, a tour into the reservoir would just not be possible. What a pity.